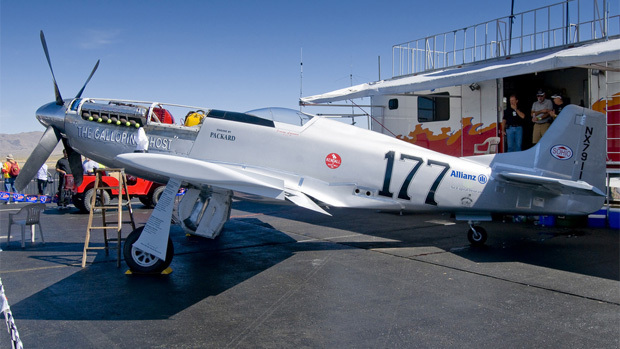 Who Should Pay After The Reno Air Races Disaster? Max Kennerly is an aviation lawyer with The Beasley Firm in Philadelphia, Pennsylvania. 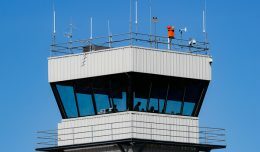 This post, Accountability After The National Championship Air Races Disaster, originally appeared at his blog, Litigation & Trial. This difference in focus isn’t just a matter of word choice. There’s an entire field of ‘root cause analysis’ that assesses the way in which accidents and other failures are investigated. Its lessons have been applied to aircraft safety as well [pdf], including in the federal regulations governing military aircraft safety, [doc] which direct audits towards the cause, not just the symptom, of safety deficiencies. First, pilot error. 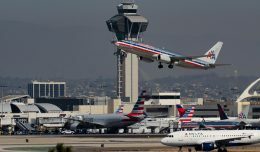 There was initially some chatter about the propriety of allowing an “80 year old man” (Leeward was really 74, but “80” somehow ended up being widely repeated) to fly in an air race, but he was among the more highly qualified pilots in the country — including having a third class medical certification as of March 2010, which was still valid as of the accident. 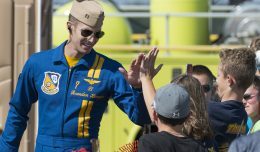 The question, then, is not if the organizers or other third parties appropriately evaluated his health — he was certified — but rather if he or anyone involved with his flight preparation recognized any physical disabilities that arose after March 2010 and which could have impaired his ability to fly. Of course, his health is irrelevant if he never became disabled and there’s some other explanation for why his aircraft suddenly climbed, rolled, and dove. There might be other pilot error, though. Planes aren’t like cars; improper control settings can cause damage to the plane even in the absence of a defect or a collision. Leeward could have been using excessive trim inputs to assist with the tu it also appears that Leeward didn’t lock his shoulder harness to stop him from slumping forward, which is why you can barely see him in the plane. His torso probably contacted the stick causing the plane to roll (unlike Bob Hannah, who had a locked harness). The videos show him hitting the ground at full power, so he was not conscious. Moreover, it bears mention that Galloping Ghost had been heavily modified to make it faster. Can a P-51 be modified to the point that it is so fast, and creates such force and stress, that it becomes inevitable that the elevator trim tab breaks off? Absolutely, and it would be negligent on the part of the owner, designer, and builder to fly such a plane at racing speeds above a dense crowd of spectators. Third, flight planning. Whenever a plane crashes into a populated area, the choice of route comes under scrutiny. 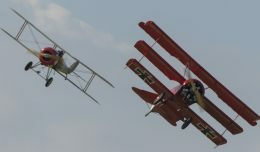 All low-flying planes create a danger of impact (consider, for example, the Ramstein disaster) and the National Championship Air Races has had more than its fair share of fatal crashes and near-misses like Voodoo. It is no stretch to say that it was only a matter of time before one of those accidents ended up happening in the stands. Sure, it’s thrilling for the crowd to be up close to the planes as they race, and unsurprising that the organizers would set up the race that way, but the companies making money off the event are charged by law with ensuring the safety of those spectators, including by toning down the thrills just a bit if it makes everyone safer. So now what? Ten people are dead and dozens are injured, many seriously, many permanently. Lives lost, contributions to families lost, wages lost, and medical care needed. 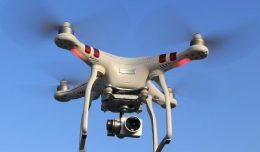 Some tort reformers have complained that, even though most accidents are simple pilot error, every airplane crash results in a flurry of litigation against airplane manufacturers, event organizers, and plane owners and mechanics. I get really annoyed about military air shows flown over densely populated cities. A crash there would be hundreds of times more serious that this was. Air shows should be kept away from cities, and the planes should not fly directly over crowds. Compensation law and judgement provides facilities to employees and employers.A proper schedule is drawn out to state the amount and forms of compensation to which an employee is entitled, if he/she has sustained the stipulated kinds of injuries from his/her case.Employers can buy insurance against such case occurrences.